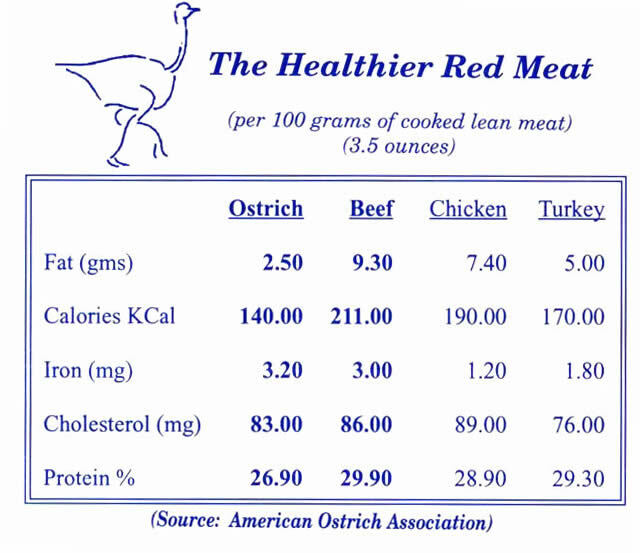 Since 2002, Indian Point Ostrich Ranch has been providing USDA inspected BLUE FEATHER brand Ostrich meat. Many white table cloth restaurants throughout the west rely on the quality and consistency of our best Fan Filet steak. 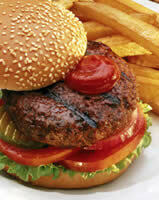 Ostrich Burgers are also available at many casual restaurants and Burger houses. 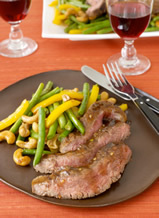 For the shopper, our meat products are available at selected Albertson’s Supermarkets in California. Blue Feather meat caseLook for our meat display usually located near the Butcher Block.